You’ll want your truck handled with the best equipment and back on the road as soon as possible… Madrid Towing makes it happen! The Dog the Bounty Hunter film crew came into Albuquerque, in order to work with Madrid Bail Bonds. They would not risk their own reputation with a fly-by-night Towing Operator or Bail Bondsman! 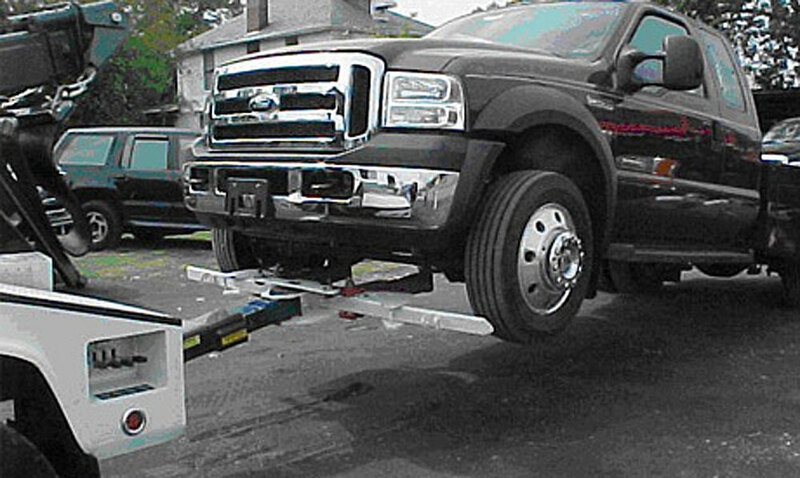 With flatbed and wheel lift tow trucks, we are a full-service auto wrecker service able to respond to almost every request. When you need a wrecker tow truck in Albuquerque, the professional team at Madrid Towing Services is ready willing and able to be there for you in your time of need! As a State of New Mexico licensed professional auto wrecker and truck towing service, we have kept our license in good standing since we started towing in 1997. We’ve done this in order to maintain the high level of trust that we have earned over the years. What we are NOT, is an unlicensed individual that bought a truck and works illegally from his or her driveway. Call 505-248-1825 for 24 hour towing or roadside service in the Greater Albuquerque, New Mexico area. We’ll Treat Your Truck Like it was our Own! Our experienced drivers go through complete training in order to provide you with our guaranteed damage-free towing. All of our drivers will work with you and explain our process and solutions — and show you how the equipment works. Our company goal is to always earn your trust and exceed expectations every time we respond to any call. In an accident or emergency roadside service situation, you can always contact Madrid Truck Towing Services for prompt, reliable service at an affordable rate. We respond quickly with help in your time of need—24/7, including weekends and holidays.